Super Saver: Guess which famous football saves we’ve recreated to win £10 in vouchers! Fancy yourself as a bit of a football expert? 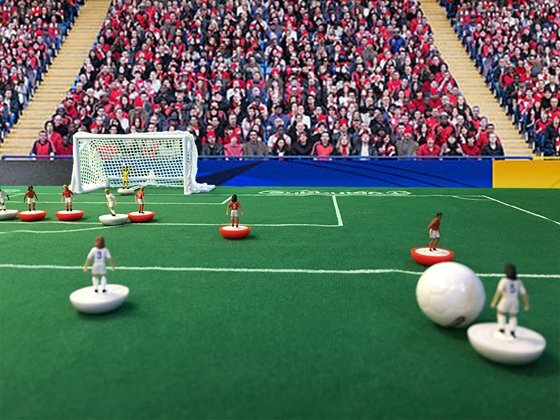 Watch the videos below to guess which famous saves in history we’ve recreated with our Subbuteo set. There are valuable clues in the videos as well as the descriptions – good luck! Leave your guess in the comments below or tweet us @scotfriendly underneath the videos we post. You could win a £10 shopping voucher. Terms and conditions apply. Read full terms and conditions. Competition closes 31st May. Why do we love super savers so much? We think goalkeepers are underrated so in just over a week’s time we’ll be celebrating the most successful and cost-effective goalkeepers from the Premier League. Winners will be chosen using a highly complex algorithm which takes the amount of goals the keeper saved, the number of appearances they made, plus how much the club paid for the player. Stay tuned for more!